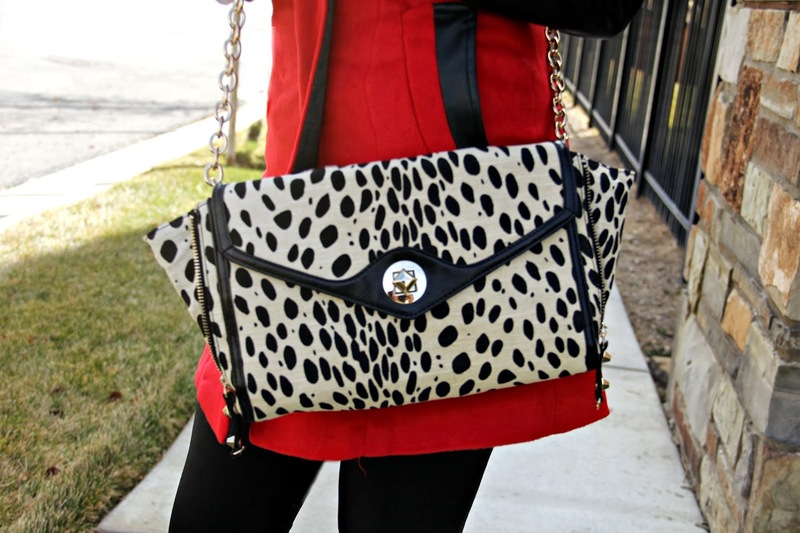 I had been looking for the perfect bag to wear with my new favorite coat, and my mouth literally dropped when I found this white leopard clutch from Sole Society. I love leopard, as I’m sure most of you know. So, when I found it in white, I just couldn’t resist. Its a fun twist on the ever so popular animal print trend we are seeing so much of lately. Also, here are the winners of the Bitter Root Vintage e-gift card, and the gorgeous designer inspired necklace. Love these looks! I might have to buy those adorable boot. Thanks for sharing! You NEED them, they are seriously amazing! Love them. 🙂 Thank you! I LOVE the coat, super cute!